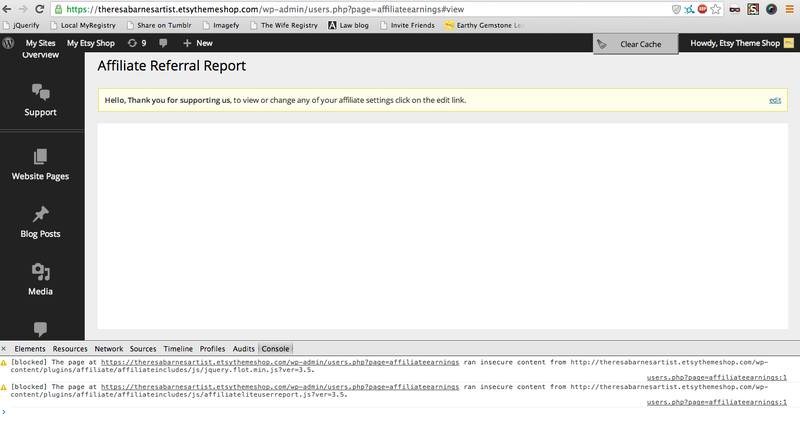 I have my wordpress admin forced to run on SSL. It looks like the URL's for the scripts within affiliates are loaded with just HTTP and aren't forced to HTTPS, it appears this will be needed to be changed in the script manually. That's great news! Glad to see that you have fixed the issue, Thanks for also providing your solution for other members, just sent some points your way.